As a UCI sanctioned C1 event, and the Mid Atlantic’s premier 2-day cyclocross race, Charm City Cross is one of North America’s largest professional cyclocross races. Featuring both international pro and regional cyclists, Charm City Cross is held annually in Baltimore, MD. 2018’s race weekend marked the 14th year of Charm City Cross in Baltimore City’s historic Druid Hill Park. 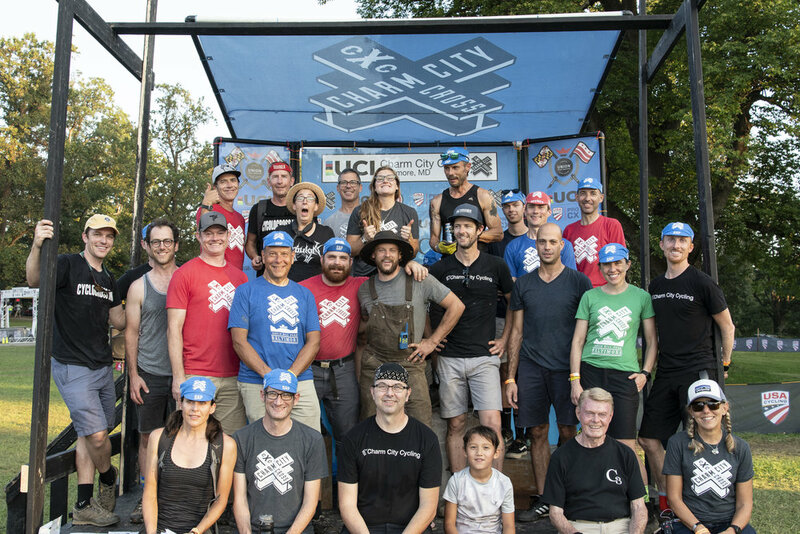 Charm City Cross is a labor of love for a large community of cyclists who put-in longs days leading up to the race weekend. We have an amazingly dedicated group working year round to create and organize the event and then, in the final month, a larger group joins the core team and builds the final product on-site. Charm City is allowed to continue year after year because of every single devoted volunteer. The duo raising the CX bar. Kris Auer founded Charm City Cross in 2005, which hosted 280 racers. The race has grown into a two day event and now attracts over 1600 racers. An impromptu meeting with Jay Lazar in 2010 led to a partnership that elevated the event to the UCI Category 1 status it has today. Charm City Cross is a race for our Baltimore community, the mid-atlantic and the nation. Our goal is to continually move the race forward, whether it's pushing the boundaries of our course design, creating a more positive atmosphere for spectators and racers, or driving cyclocross as a sport further into the mainstream. Charm City Cross strives to inspire other events across the nation to raise their game, as well as takes inspiration from other events to elevate our race. The hope is that Cyclocross in the U.S. gets better and better.